You are all you will ever have for certain. 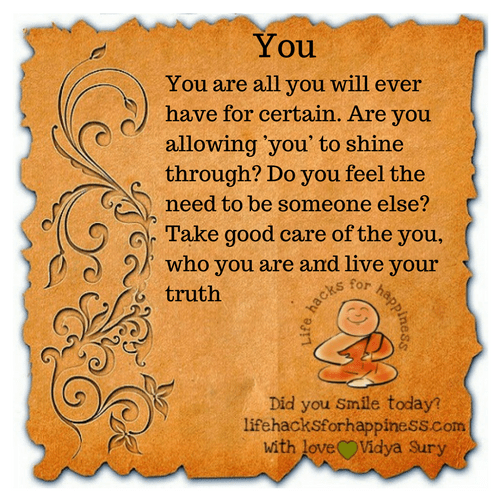 Are you allowing ’you’ to shine through? Do you feel the need to be someone else? Take good care of the you, who you are and live your truth.